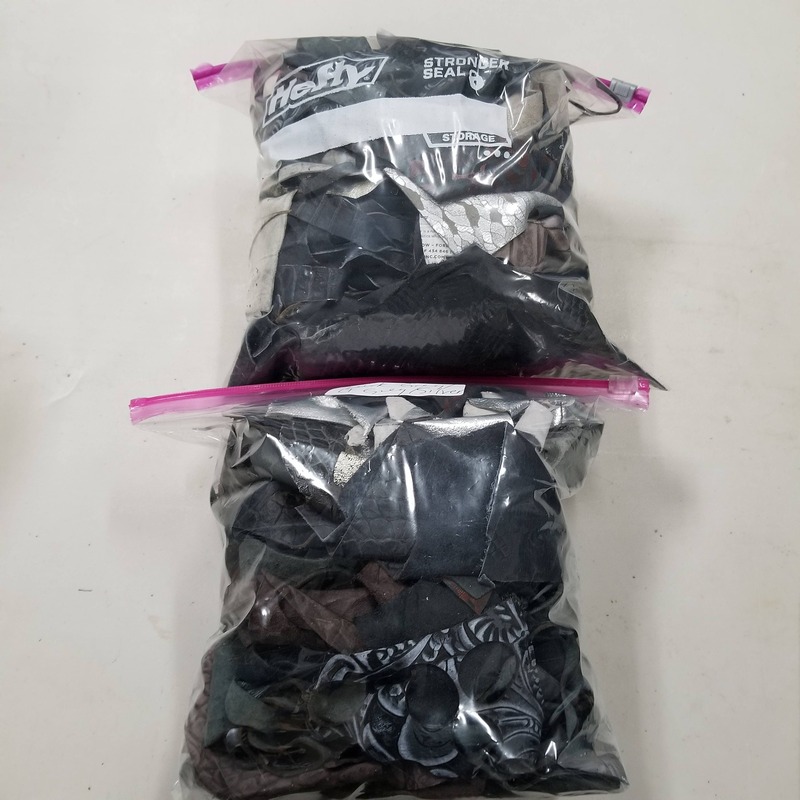 You are bidding on ONE 2 LB bag of assorted dyed SCRAP leather, in the color BLACK. Please note, this is not undyed Veg Tan Leather! 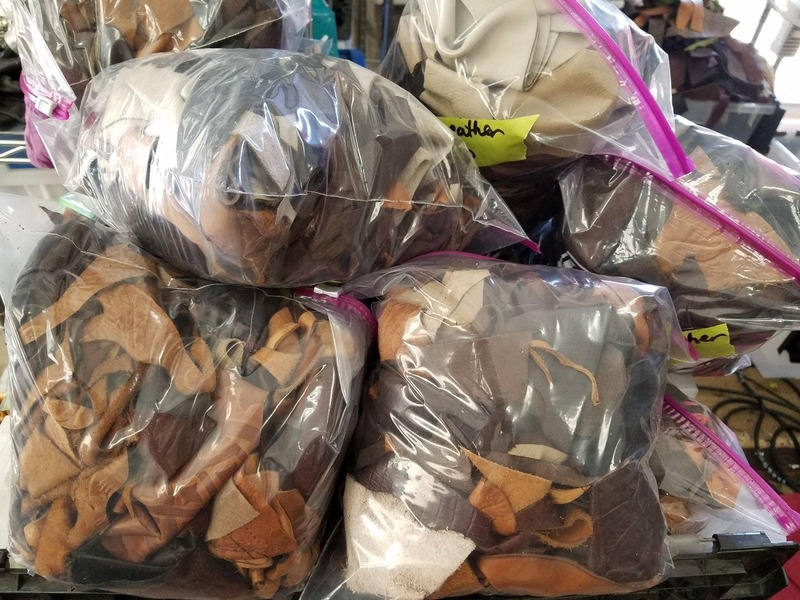 Most all of this scrap is Cow Hide, their may be a rare occasional bit of thin pig leather or sheepskin, the majority of this leather is a weight of 2.5-3.5 ounces. 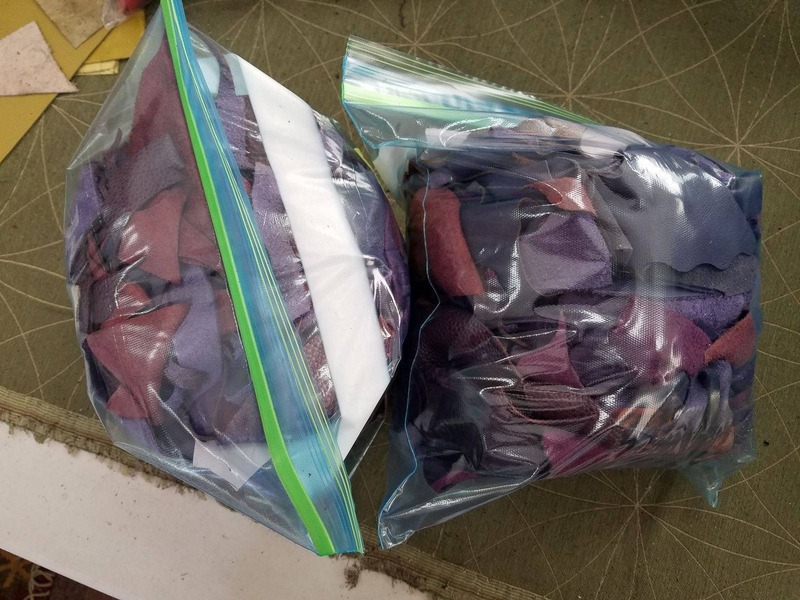 Additionally, I don't have time to dig thru each bag and give you a detailed account of every piece in each bag-you simply get what you get! 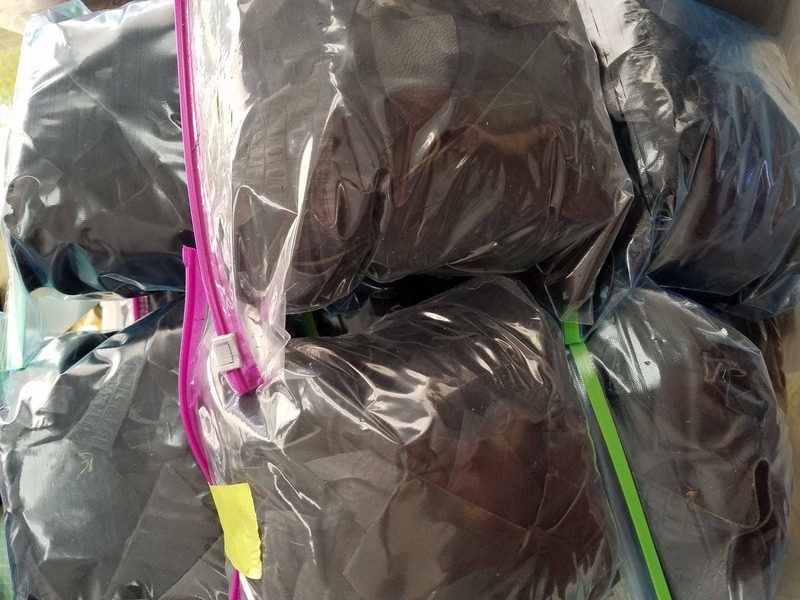 For additional bags of Black or other colors please see our other listings. 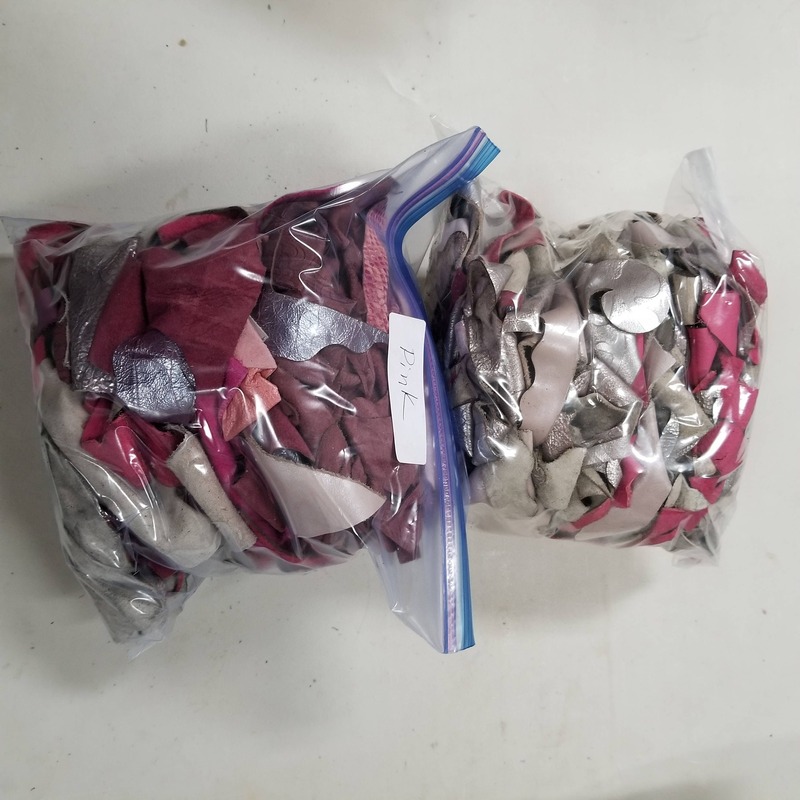 We have many colors to choose from including: Burgundy/Red, Green/Olive, Tan/Brown, Purple/Lavender, Pink, Teal/Turquoise, Blue, Beige/Cream, White/Off White, Bronze/Gold, and Gray/Silver. • Great for Small Projects!! 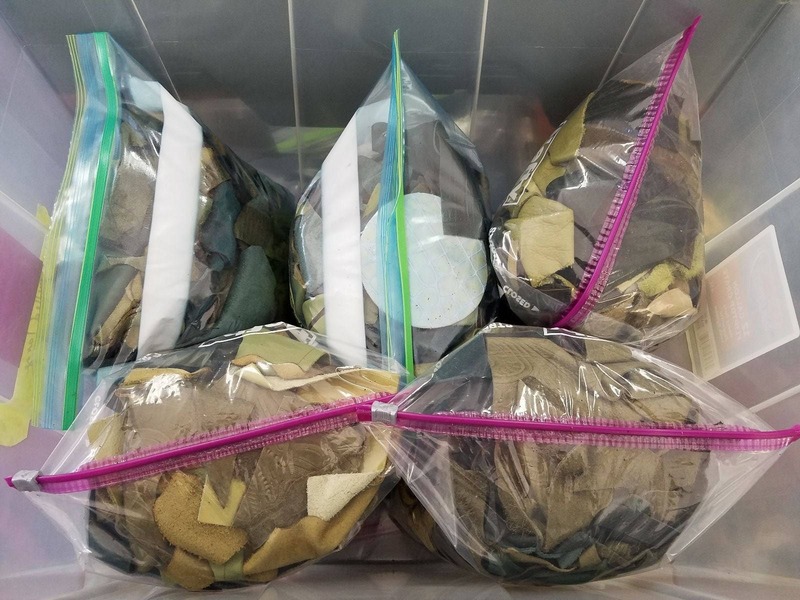 Mostly small scrap pieces, a few bigger pieces, but nothing large enough to make a purse or large leather project-unless you are into massive piecework! Best for handcrafting earrings, rings, keychains/fobs, cuffs/bracelets, small change pouches and anything small. 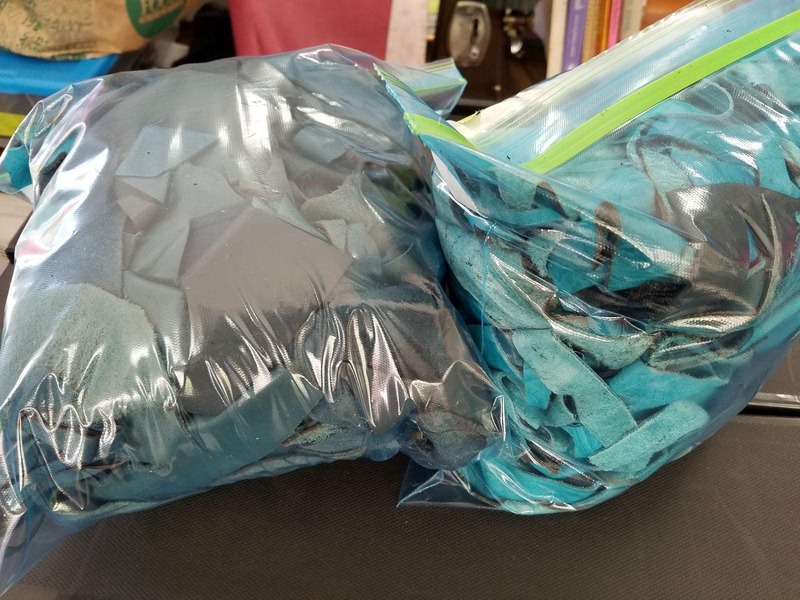 Would also be great for making leather fringe, creating leather bezels for gemstones or stitching small leather shapes into a decorative pattern onto something else. 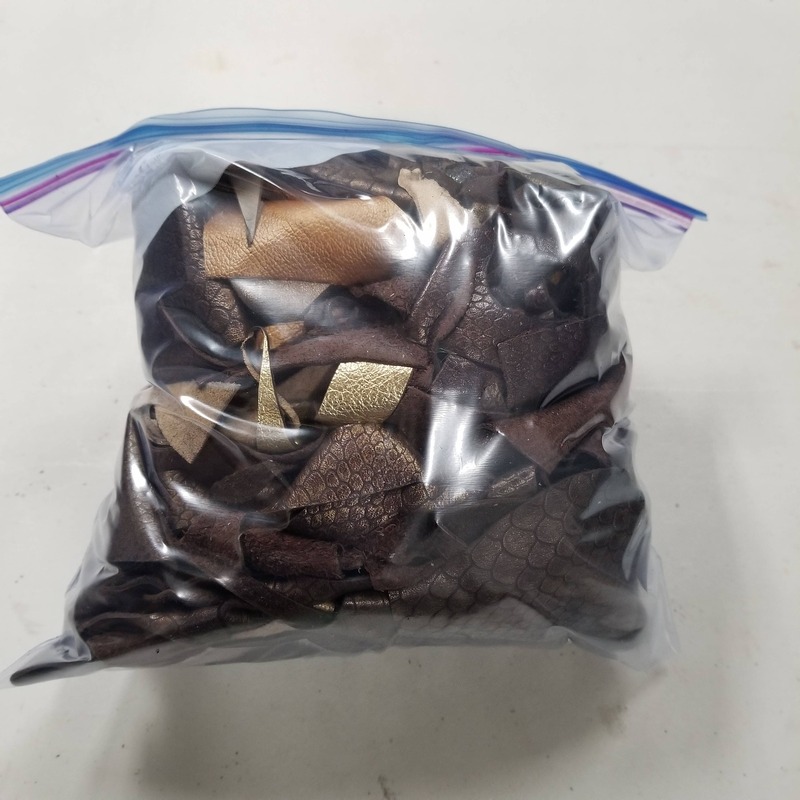 If you want the best assortment of sizes get multiple bags! • Some pieces are leather swatch samples, some of which have stickers, glue residue or eyelets/grommets in them. All are removable by you. I did my best to remove as much of this as possible, but I know there are some I missed. • Some pieces are plain untextured leather, other pieces have texture and beautiful embossed patterns. • Some pieces do have flaws, discoloration, pen markings, holes, glue residue, engraved areas, stitch lines, serged edges, brands from the cow, etc... 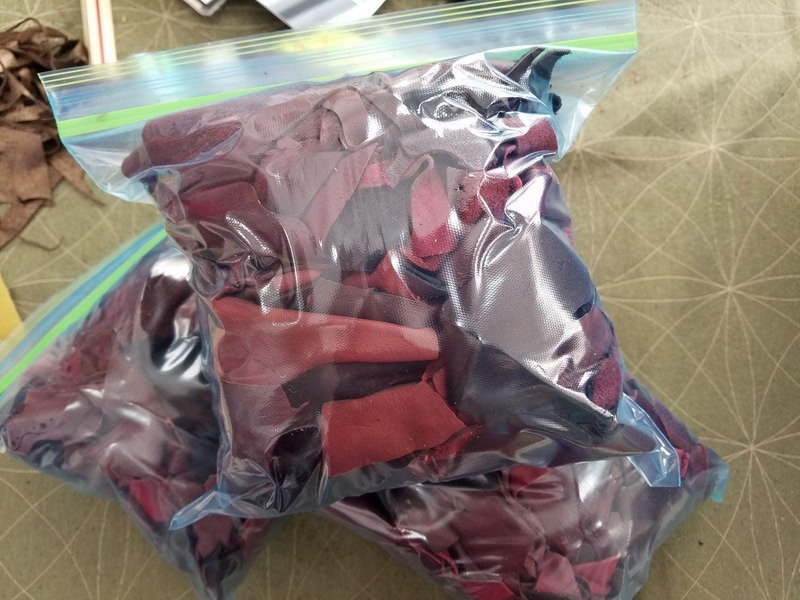 It's scrap leather afterall! 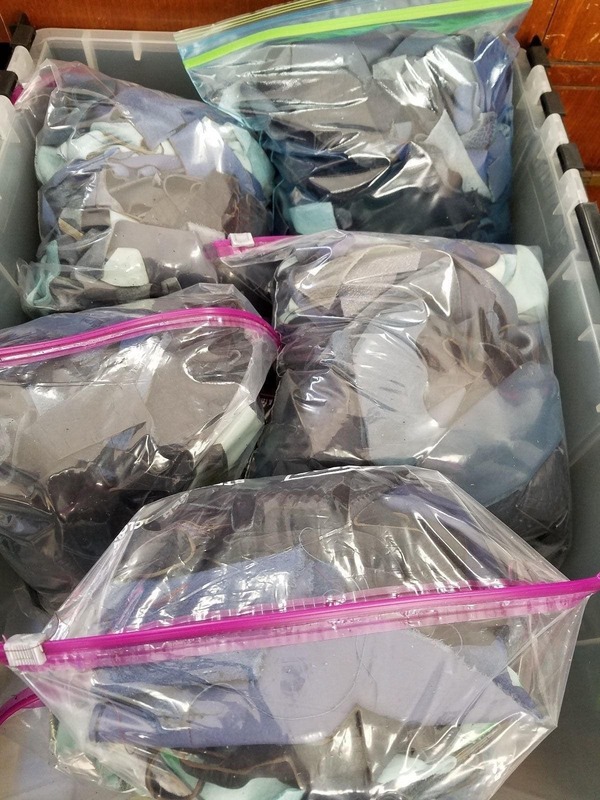 • Lighter colors and suede pieces tend to be more sooty and dirtier than other pieces. So be creative~pieces that are discolored or dirty can be hand painted, stenciled or even dyed.